(W) Sarah Stephens (A/CA) Art Baltazar. 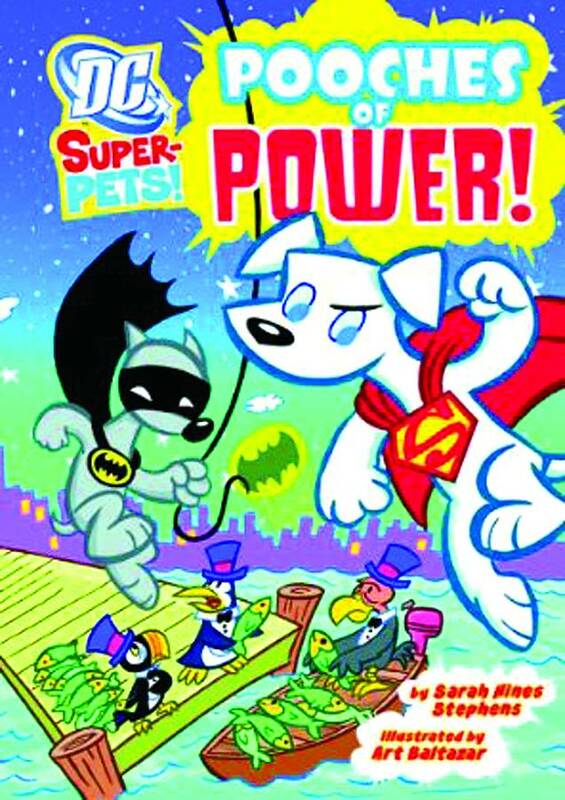 When sardines go missing from the Gotham City Marina, Ace The Bat-Hound investigates. This clever canine quickly discovers a couple of clues, but something still smells fishy. 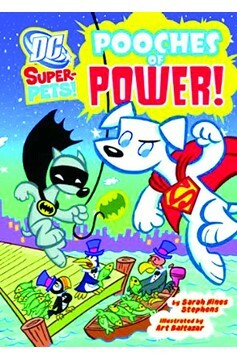 To help solve the case, Ace calls on the most powerful pooch around Krypto the Super-Dog! They track down three fowl felons, the Penguin's 'Bad News Birds,' Artie, Griff, and Waddles. Working together, the doggy duo must recover the stolen sardines and throw those dirty birds in the can..